BDP win the Lot 1 architectural contract. CH2M win for Lot 2 management contract. Former First Minister of Scotland Alex Salmond has said the Houses of Parliament should be rebuilt in Liverpool or Manchester, reports Building Design. Alex Salmond said the move was needed to “equalise” the economy so it was less dependent on London. He said: “This place (Palace of Westminster) should become a museum. My advice would be to build a modern parliament in Manchester, Liverpool, somewhere in the north of England – obviously Scotland will be independent by then – to equalise the country. Salmond opposed the construction of the Scottish Parliament in Holyrood, Edinburgh, when he was the SNP’s then leader. Salmond also said the architect of the Scottish Parliament, the late Enric Miralles, was “in a world of his own” during the parliament’s construction and said he felt sorry for RMJM, the Edinburgh architecture practice that partnered on the scheme with the Spanish architect. 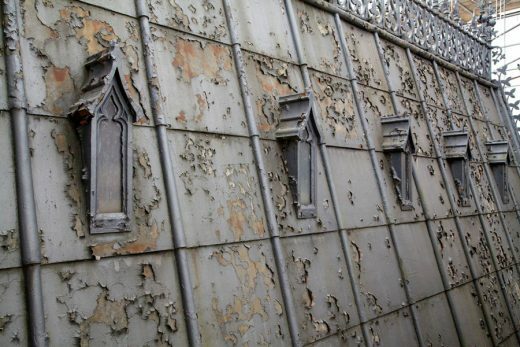 – Current ‘patch and mend’ maintenance approach no longer sustainable. – Prime Minister Theresa May backs moving MPs out of the Houses of Parliament for at least 6 years. – It will be the first time MPs have moved out since the Blitz. – Major work to save the crumbling Grade I listed Palace of Westminster scheduled to start in 2022. – final decision still rests on a parliamentary vote. – MPs would relocate to the Department of Health while the House of Lords would decamp to the Queen Elizabeth II conference centre in Westminster. 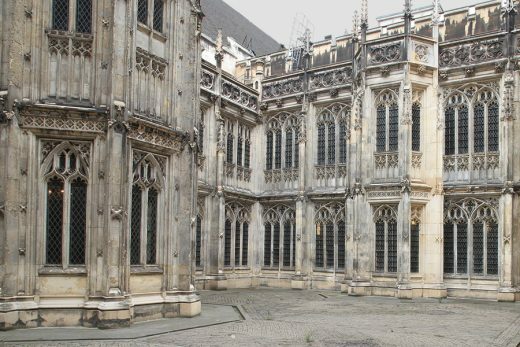 In a report published on 8 September 2016, the Joint Committee on the Palace of Westminster has concluded that the Palace of Westminster ‘faces an impending crisis which we cannot responsibly ignore’. There is a substantial and growing risk of either a single, catastrophic event, such as a major fire, or a succession of incremental failures in essential systems which would lead to Parliament no longer being able to occupy the Palace. 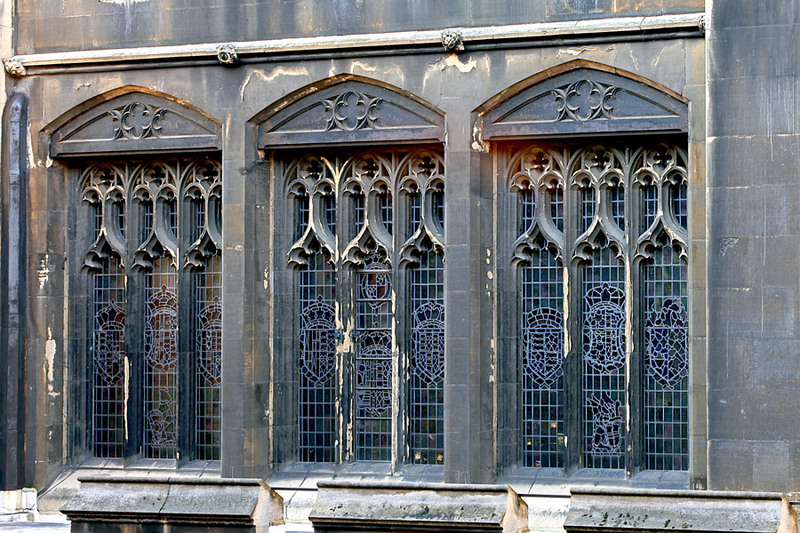 The Joint Committee of MPs and Peers has also concluded that the current ‘patch and mend’ approach to maintaining the Palace is no longer sustainable and recommends that a major programme of works is now essential and that Parliament must enable the next stage of urgent and vital preparatory work to go ahead so as to minimise costs and reduce further risks. The Joint Committee, co-chaired by Chris Grayling MP and Baroness Stowell of Beeston, was appointed in July 2015 to consider a range of options and make recommendations on the best way to protect the Palace and to maintain it as a working parliament. 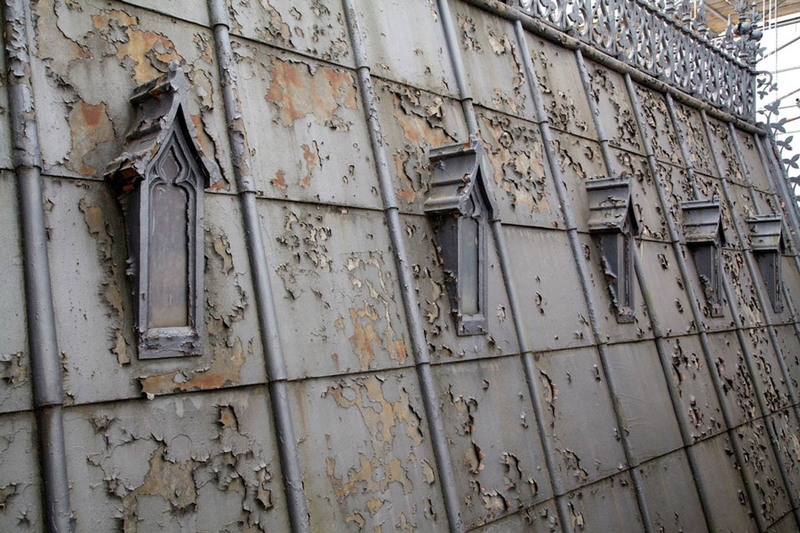 The Palace has not had a major renovation of its mechanical and electrical services since it was built in the mid-1800s, leading to a substantial and growing risk that a catastrophic event such as a major fire, or incremental system failures, will lead to the building being uninhabitable. The Committee concluded that the lowest risk, most cost-effective and quickest option to undertake these essential works would be for all MPs, Peers, and staff to move out of the Palace temporarily in one single phase. However, the Committee recommends that, first, Parliament should establish a Delivery Authority to develop a full business case and prepare a final budget for Parliament’s approval. The next, detailed preparatory stage will ensure that taxpayers, as well as Government and Parliament, can be confident the final proposal is the most cost-effective and will be deliverable before the final go-ahead is given for the works to start during the 2020 Parliament. That a clear decision on the next steps is needed now. The report contains a draft Motion recommending that a Sponsor Board and Delivery Authority be established as soon as possible. Once established, the Delivery Authority will produce the detailed business case which will then allow the final budgets to be set. Subject to further feasibility work, value-for-money assessments and validation by the Sponsor Board and Delivery Authority, the Committee concluded that the best decant solution for the House of Commons would be a solution based around Richmond House and the House of Commons’ Northern Estate. The best decant solution for the House of Lords would be the establishment of a temporary Chamber and supporting offices in the Queen Elizabeth II Conference Centre. The programme will present significant opportunities to engage with small and medium-sized enterprises throughout the United Kingdom, especially those with specialist skills in the heritage and conservation sector. The Sponsor Board and Delivery Authority should consider how apprenticeships and other training schemes could be delivered as part of the Restoration and Renewal Programme, in order to increase capacity in this area and to provide a lasting legacy of skills. 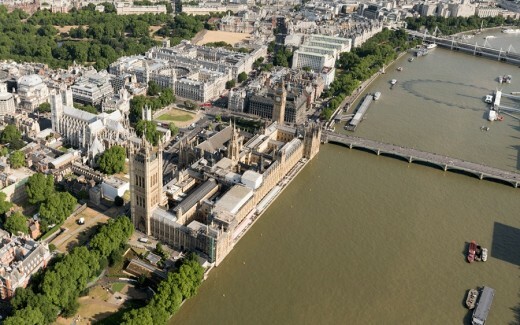 Foster + Partners are delighted to have been short-listed for the refurbishment of the Palace of Westminster. The building is an exceptional work of living heritage, a symbol for the United Kingdom and a continuing symbol of democracy throughout the world. The opportunity of turning the magnificent 19th century architecture into a functioning 21st century parliament building within a UNESCO heritage site is one of the most exciting challenges in Britain today. 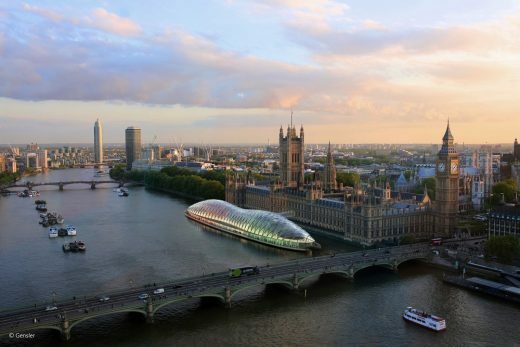 Foster + Partners, BDP, Allies and Morrison, and HOK are the four architecture practices shortlisted to work on the next phase of the Palace of Westminster restoration in a client advisor role. 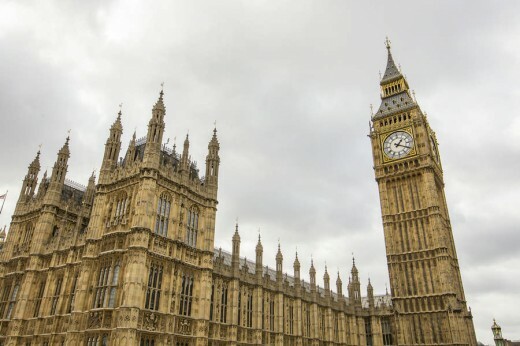 The teams in the running to offer advice on programme and cost follow on from an independent options appraisal drawn up by HOK which suggested five main scenarios for the overhaul of Houses of Parliament building. The options range in cost from £3.5 million to £5.7 billion. The appraisal was commissioned at a cost of £2m in 2013. The Grade I-listed Charles Barry-designed building has had no major restoration since it was built and currently has an annual repair bill in excess of £30m. A decision is due on how the work will proceed in 2016, and construction on the project is set to start in 2020. 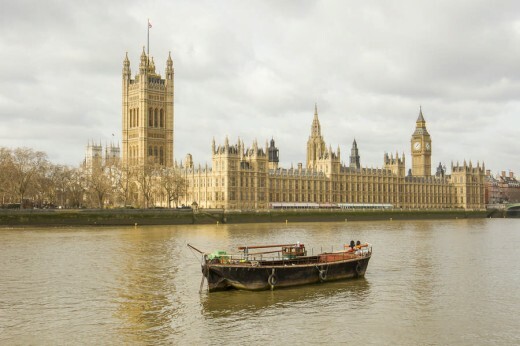 Today the House of Commons and House of Lords announced Deloitte Real Estate, AECOM and HOK as the team appointed to undertake an Independent Options Appraisal as part of the ‘Palace of Westminster Restoration and Renewal Programme’. 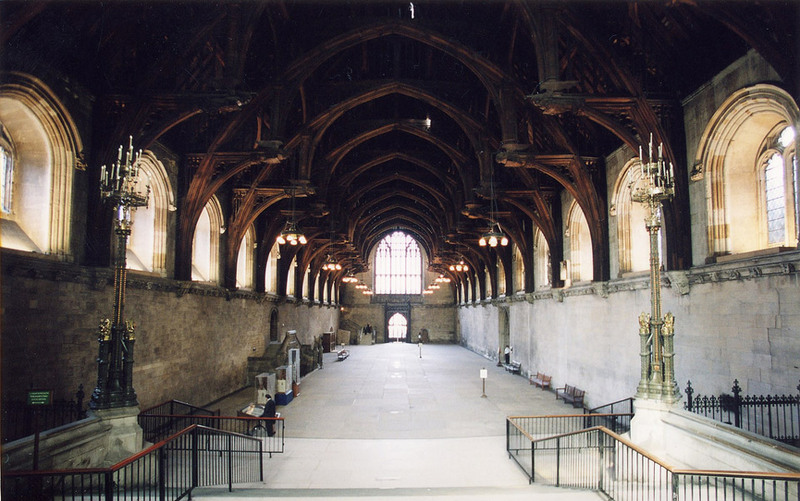 The study will explore a number of ways in which Parliament can remain operational whilst implementing long overdue essential works to protect this important Grade I listed building and UNESCO World Heritage site. Deloitte Real Estate is providing programme management, report authoring and real estate advice. AECOM is the technical lead providing engineering, cost, risk, programme and construction logistics. HOK is providing architecture and heritage architecture services. • scheduling the works over a more concentrated period with parliamentary activities moved elsewhere to allow unrestricted access to the Palace for the delivery of the works. The Palace is a Grade I listed building and, with Westminster Abbey, forms part of the Westminster UNESCO World Heritage Site. 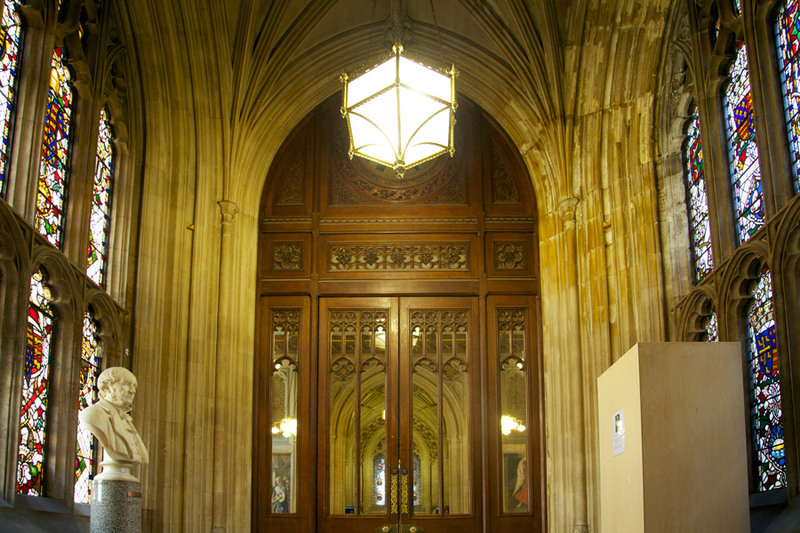 Visit the official parliament.uk website for information on the Restoration and Renewal of the Palace of Westminster.